We’re talking about great gifts for friends, for your sisters and moms, and for teachers . . . as well as some items you might want to put on your own wishlist. We’ve got recommendations on self-care gifts, cookbooks, candles, and skincare stuff, as well as gifts that give back. 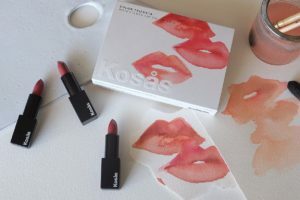 Kosas is one of Sarah’s favorite green beauty brands and their Weightless Lip Color Trio is made from moisturizing ingredients like mango seed butter and jojoba oil. This set of three neutral everyday colors is $58. You can see all of the Kosas lip colors on Sarah here. AHAVA’s Purifying Mud Mask is made of real mud from the Dead Sea, the most mineral-rich mud on earth. It detoxifies but also makes skin softer, and it’s great for all skin types. It’s also free from parabens, petroleum, animal-sourced ingredients, mineral oil, SLS/SLES, and phlathates. 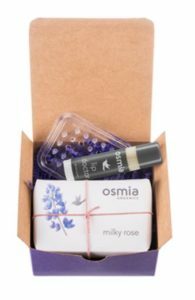 Osmia makes incredible handmade soaps and their Simple Gift set for just $28 includes their best-selling Lip Doctor, your choice of one of their handcrafted soaps in fun scents like Lavender Pine or Citrus Pearl, and a soap saver to keep your soap from getting gummy. It’s. 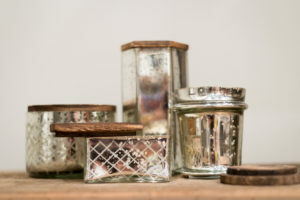 a great “gateway” gift for someone who’s trying to use fewer chemicals. SheaMoisture’s Coconut & Hibiscus Hand/Body Scrub smells like a dream, makes your skin super soft, and is made of all-natural ingredients. At only $9 a jar, it’s a great teacher gift or stocking stuffer. 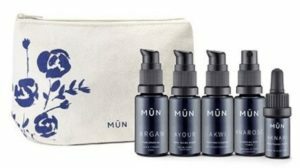 MUN’s Travel Set is a great way to try the full line of this organic, 100% natural beauty line for $75. If you are wanting to change up your skincare to something clean and luxurious this is a perfect introduction. It comes with a cleanser, toner, moisturizer, body serum, and argan oil. A jade roller is a great item for encouraging the relaxing self-care routine of facial rolling. It feels luxurious but Amazon’s $16 real jade version, which includes a gua sha scraping tool, doesn’t break the bank. 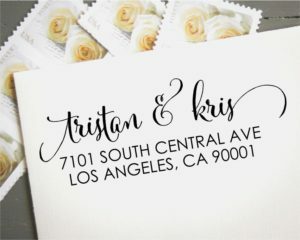 A Personalized Address Stamp is a great, practical gift for just about anyone. Amazon has cute fonts and designs for around $30. Make someone a surprise photo book by downloading their facebook or instagram photos and creating a book for them on Shutterfly (photobooks are currently 50% off.) You can use a chrome extension like DownAlbum to stealthily grab photos from the social accounts of loved ones to make sure it’s a surprise. Bisby Holiday Candles are hand-poured in Oklahoma with natural soy wax, chemical-free fragrance oil, and recyclable packaging. The new holiday line is only $12 per candle. 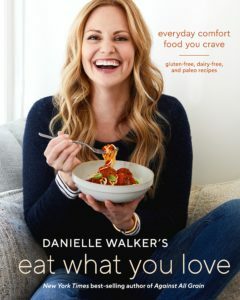 Danielle Walker’s Eat What You Love: : Everyday Comfort Food You Crave; Gluten-Free, Dairy-Free, and Paleo Recipes comes out on December 4th, and is full of practical, healthy recipes. Dinner: Changing the Game by Melissa Clark is a great cookbook for one-pot, one-tray meals. So many good chicken recipes plus stews and salads. Sarah’s favorites are Sesame chicken with Cashews and Dates, Paprika Chicken with Crispy chickpeas and Baby Kale, and Spicy Pork and Black Bean Chili with Sage and White Cheddar. The True Foods cookbook by Andrew Weill features some of the best healthy recipes from the True Foods restaurant. We are both fans of the spaghetti squash casserole and the roasted fennel and sausage soup. 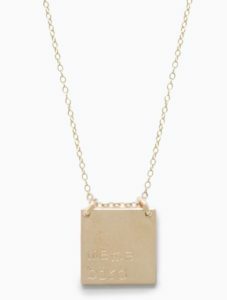 great modern necklace with clean lines and a beautiful sentimental gift for $52. 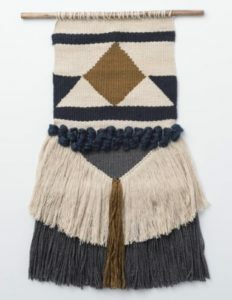 Krochet Kids woven wall hangings ($50) are a great statement piece for any decor. They are made in Uganda by at-risk women who are trained and employed in Krochet Kids’ empowering program to help women find sustainable work. Monogrammed tee is super retro and fun. The Chaltu Clutch by ABLE is the perfect-sized purse and comes in 4 neutral colors that go with just about anything. 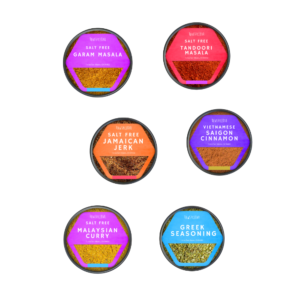 Six months of spices from Raw Spice Bar’s spice subscription are $72. The Art of Tea offers six months of tea for $102. The teas are seasonally selected and alternate each month. A Petit Vour Beauty Box subscription is only $18/month and provides great vegan and non-toxic beauty products and samples every month. Great for young beauty enthusiasts. Affirmators! 50 Affirmation Cards, We love these cards because they are fun and witty and not at all self-helpy. At only $12 this is a great self-care gift for anyone. Madewell scarves (under $50) are gorgeous scarves at such a great price point. Audible gives you access to a huge selection of audiobooks on everything from self-help, modern fiction, motivational books, thrillers, memoirs, and more. They make it easy to stay well-read with audiobooks that you can listen to in the car, or Kristen’s favorite: while cleaning house. And it’s timely we are talking about Audible today in our gift guide episode because it is SUCH a great gift. Right now, for a limited time, you can get 3 months of Audible for just $6.95 a month. That’s more than half off the regular price. Membership includes 1 free audiobook a month, exclusive sales, and 30% off all regularly priced audiobooks. It’s a great gift to give yourself, and while you’re at it . . . think about giving the gift of Audible to someone on your list. For more info go to audible.com/selfie or text [SELFIE] to 500 500.